Recovering and Relaxing with NormaTec. Watching a great Basketball Game on the big screen TV. NormaTec is the leader in rapid recovery—our systems give a competitive edge to the world’s elite athletes, coaches, and trainers. 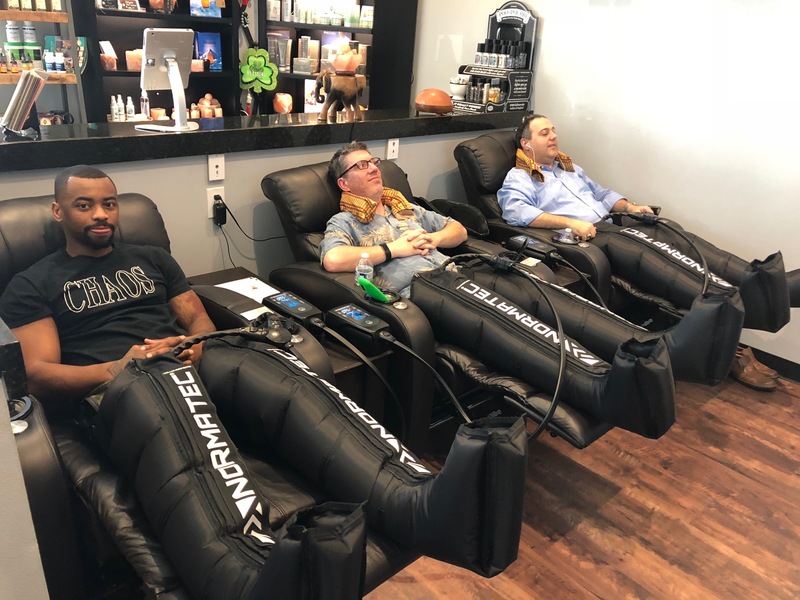 Our goal is to establish recovery as an integral part of every athlete’s training, and we feel NormaTec systems are the best way to accomplish that. Our systems include a control unit and attachments which go on the legs, arms, or hips. They use compressed air to massage your limbs, mobilize fluid, and speed recovery with our patented NormaTec Pulse Massage Pattern. When you use our systems, you will first experience a pre-inflate cycle, during which the connected attachments are molded to your exact body shape. The session will then begin by compressing your feet, hands, or upper quad (depending on which attachment you are using), each segment of the attachment will first compress in a pulsing manner and then release. This will repeat for each segment of the attachment as the compression pattern works its way up your limb. Recovering from A tough leg Workout. 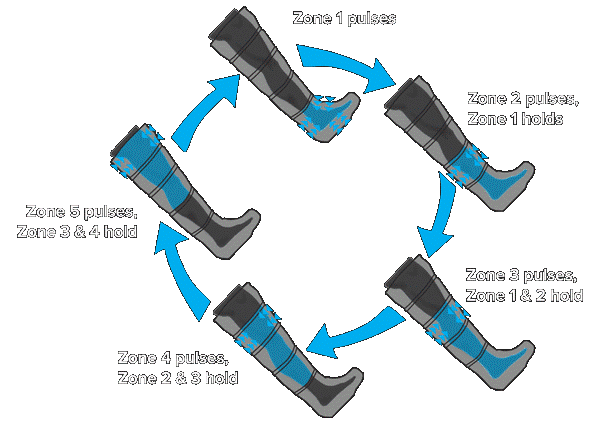 The NormaTec Pulse Massage Pattern starts in the foot, hand, or lower hip and moves upwards zone-by-zone massaging the limb and mobilizing fluid out of the extremities. Created by a physician bioengineer (MD, PhD) to enhance blood flow and speed recovery. The NormaTec hip is a full-coverage attachment for the lower back, obliques, glutes, hamstrings, quads, abductors, and abductors. The NormaTec arm is a full-coverage attachment for the entire arm and shoulder. It features overlapping zones that guarantee gapless compression, high-quality nylon, and hassle-free integrated tubing. 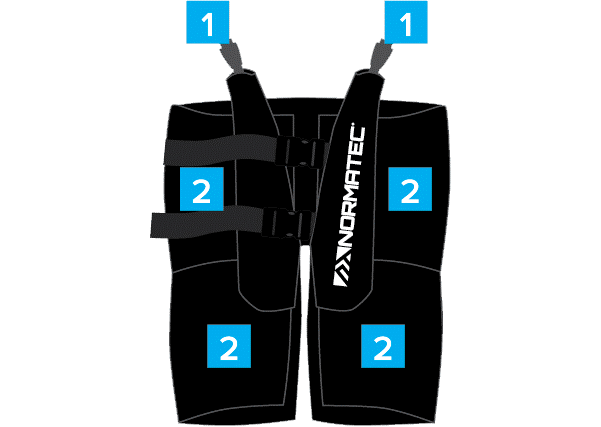 The risks and benefits of using the NormaTec Recovery System are the same as having massage. If the pressure feels uncomfortable, you can reduce the intensity or stop the session. Similar to a massage, the benefits can include the temporary relief of minor muscle aches and pains. It can also temporarily increase circulation in the area being massaged.